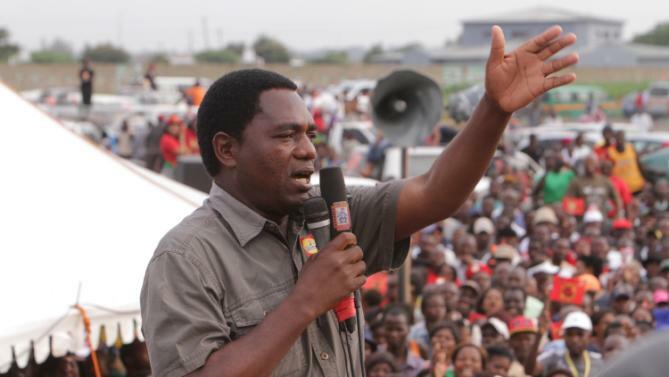 Detained UPND leader Hakainde Hichilema (HH) is sick in jail, police sources have confirmed. Prison authorities are also refusing to give HH food from his family but are insisting that he should eat food prepared by prison officials, which many people suspect is laced with more poison. Edgar Lungu has however ordered the prison authorities to deny Hichilema medical attention. According to police sources, HH has been sick from yesterday and his condition is not improving. It is believed that state agents poisoned HH when they raided his house at night a few day ago. ‘It seems the poison is taking effect now, ‘ one source said. One source said for 24 hours, police did not allow any family member to see him and during this time he was fed on poisoned food. “Even when a family member is allowed to take food, they first pass it through security check where the family member is not present so it is easy for them to out more poison,’ the security source explained. When HH was arrested at his home in Lusaka, there was an attempt to shoot him dead had the plan by the police to cause confusion succeeded. But HH barricaded himself in one of the secure rooms within his house until morning. But while in the room, police through some unknown but poisoners chemicals at him. Even if HH is released, he might not be the same healthwise as the poison he is being fed is called ‘slow puncture, meaning it kills slowly.